Aimee Bender is the author of four books, including The Girl in the Flammable Skirt and The Particular Sadness of Lemon Cake. Her latest collection of stories, The Color Master, will be out in August. She has published in Granta, The Paris Review, Tin House and more, as well as heard on "This American Life" and "Selected Shorts." She lives in Los Angeles and teaches writing at USC. Photo credit by D. Bender. 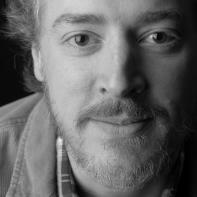 David Kirby is the Robert O. Lawton Distinguished Professor of English at Florida State University. 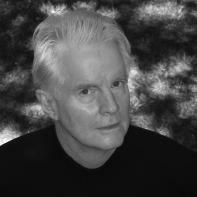 Kirby is the author of numerous books, including The House on Boulevard St.: New and Selected Poems, which was a finalist for the 2007 National Book Award in poetry. His Little Richard: The Birth of Rock 'n' Roll was named one of Booklist's Top 10 Black History Non-Fiction Books of 2010, and the Times Literary Supplement called it "a hymn of praise to the emancipatory power of nonsense." Kirby's forthcoming poetry collection is The Biscuit Joint, and there's more on his website. 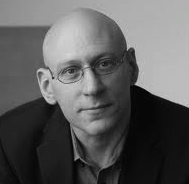 David Shields is the author of fourteen books, including How Literature Saved My Life (Knopf, 2013), Reality Hunger: A Manifesto (Knopf, 2010), and The Thing About Life Is That One Day You’ll Be Dead (Knopf, 2008). His essays and stories have appeared in the New York Times Magazine, Harper’s, Esquire, Yale Review, Village Voice, Salon, Slate, McSweeney’s, and Utne Reader. 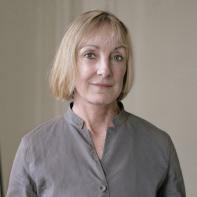 Shields has received a Guggenheim fellowship, two NEA fellowships, and an Ingram Merrill Foundation Award. He lives with his wife and daughter in Seattle, where he is the Milliman Distinguished Writer-in-Residence at the University of Washington. 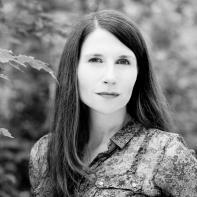 Jennifer Haigh is the author of four critically acclaimed novels: Faith, The Condition, Baker Towers, winner of the L.L. Winship/PEN New England Award for Fiction, and Mrs. Kimble, for which she won the PEN/HEMINGWAY award. She grew up in a small town in Pennsylvania and later graduated from Dickinson College and the Iowa Writers' Workshop. Her short stories have been published in Good Housekeeping, Alaska Quarterly Review, the Idaho Review, Global City Review and elsewhere. She lives in Hull, MA. Photo credited to Sharona Jacobs. 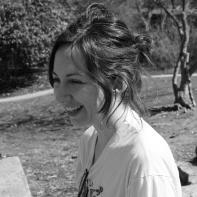 Jeredith Merrin is the author of two poetry collections—Shift (a finalist for Lambda Poetry Book Award) and Bat Ode. Her current poetry manuscript CUP is finished and circulating. She's published a book of criticism, An Enabling Humility: Marianne Moore, Elizabeth Bishop and the Uses of Tradition. 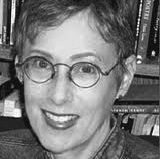 Her essays and reviews on Moore, Bishop, Randall Jarrell, Billy Collins, John Clare, Kenneth Koch and others have appeared in The Southern Review and elsewhere, and her poems may be found in such journals as The Hudson Review, Ploughshares, The Paris Review, Slate, The Southern Review, Virginia Quarterly Review, and The Yale Review. 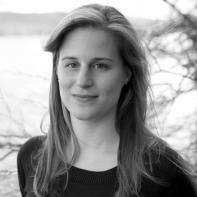 Lauren Groff is the author of the novels Arcadia and The Monsters of Templeton, and the short story collection Delicate Edible Birds. Her fiction has been awarded a Pushcart and PEN/O. Henry Prize, and has been published or is forthcoming in the New Yorker, the Atlantic, Ploughshares, One Story and Tin House, as well as two editions of the Best American Short Stories anthology. She lives with her family in Gainesville, Florida. Michael Kimball is the author of six books, including the novels Big Ray, Dear Everybody, Us, and, most recently, Michael Kimball Writes Your Life Story (on a postcard). His work has been translated into a dozen languages, and been on NPR's All Things Considered and in Vice, as well as in The Guardian, Huffington Post, Bomb, and New York Tyrant. Pauls Toutonghi is the Pushcart Prize-winning author of the acclaimed novels Red Weather and Evel Knievel Days. He was born in Seattle, Washington, to an Egyptian father and a Latvian mother. His work has appeared in the New York Times, VQR, Sports Illustrated, Zoetrope, Glimmer Train, the Harvard Review, and One Story, as well as online for Salon, The Rumpus, Bookslut, The Millions, and elsewhere. 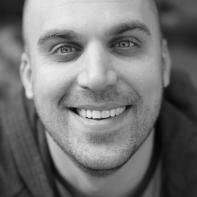 He is the father of twins and teaches at Lewis & Clark College in Portland, Oregon. Susan Steinberg is the author of the story collections Spectacle, Hydroplane, and The End of Free Love. 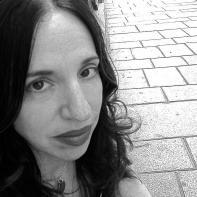 Her stories have appeared in McSweeney's, Conjunctions, The Gettysburg Review, American Short Fiction, and elsewhere, and she has been the recipient of a a United States Artist Fellowship, the Pushcart Prize, and a National Magazine Award. She earned a BFA in Painting from the Maryland Institute College of Art and an MFA in English from The University of Massachusetts, Amherst. She is Professor of English at the University of San Francisco.